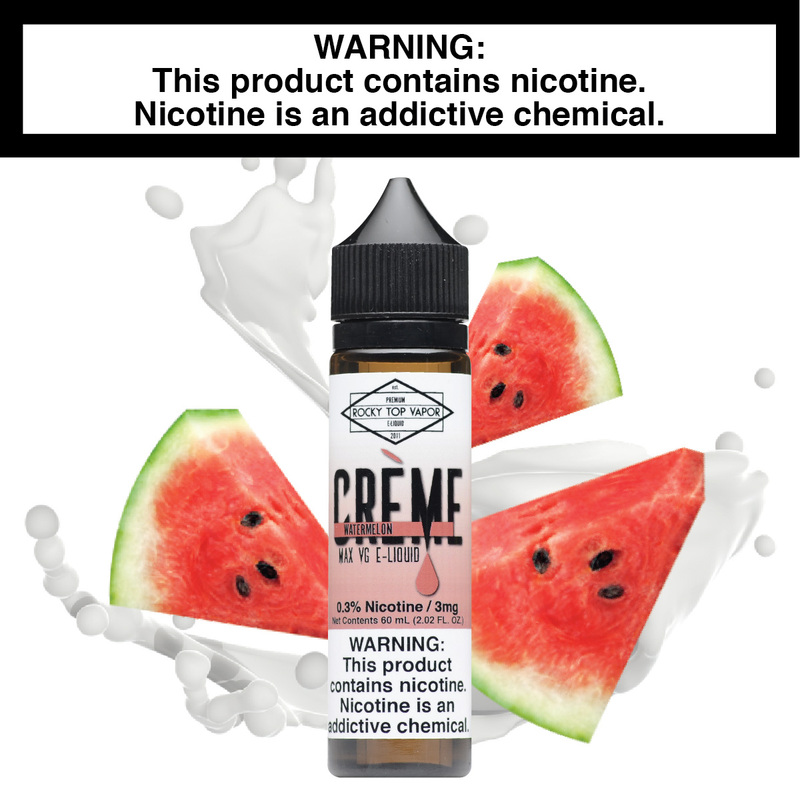 Watermelon Creme - Creme E-Liquid Watermelon Creme - Sweet and juicy watermelon blended with our signature cream base. Seedless, of course! 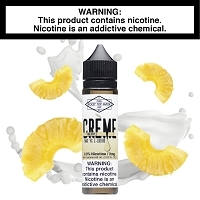 Watermelon Creme - Sweet and juicy watermelon blended with our signature cream base. Seedless, of course! We believe that great flavor is captured in the subtleties and nuances, the perfect balance of sweet and savory, just the whisp of cautionary restraint when adding or taking away from a recipe. That being said, we decided to take on the onerous task of developing our signature cream base implemented in this line, Creme. 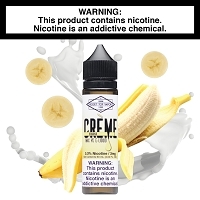 Not overly sweet or vanilla heavy, these pairings of fruit and cream are sure to strike a chord with any fruit fan. We invite you to join us and enjoy the finer things in life. This juice is very unique and delicious. I usually buy strawberry cream ejuice but watermelon cream was such a nice Chang up.. 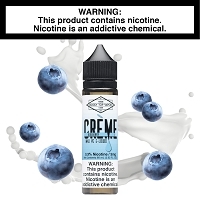 I'd recommend this to all cream lovers! !